First released in 1991, the Oregon Ultra Tech was produced until 1993 and is back once again 20 years after production stopped. 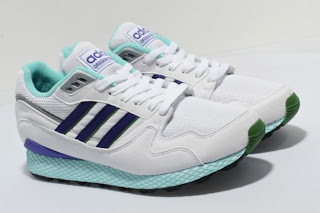 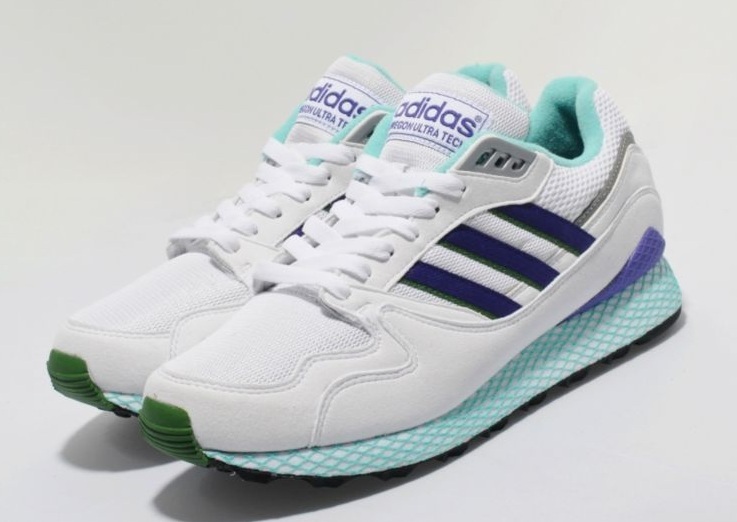 This exclusive edition is constructed with a nylon mesh upper in white with a tonal white synthetic suede toe, heel and lace surround and features a 3M reflective heel trim and purple three stripe branding with green trim. 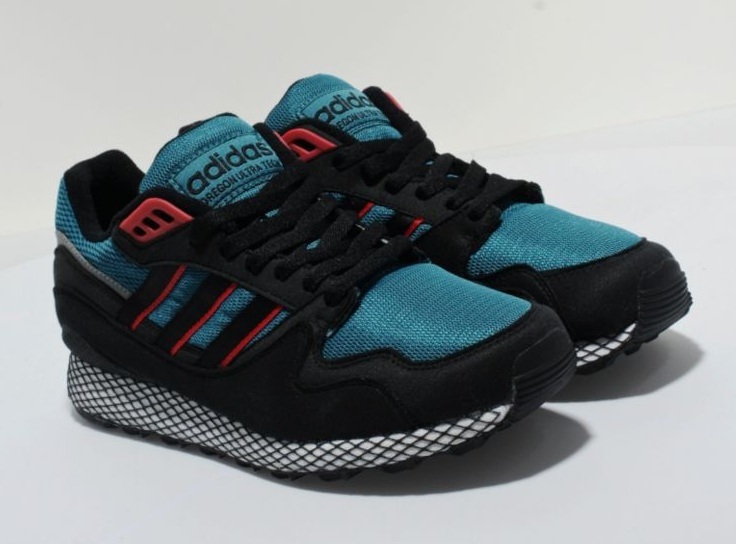 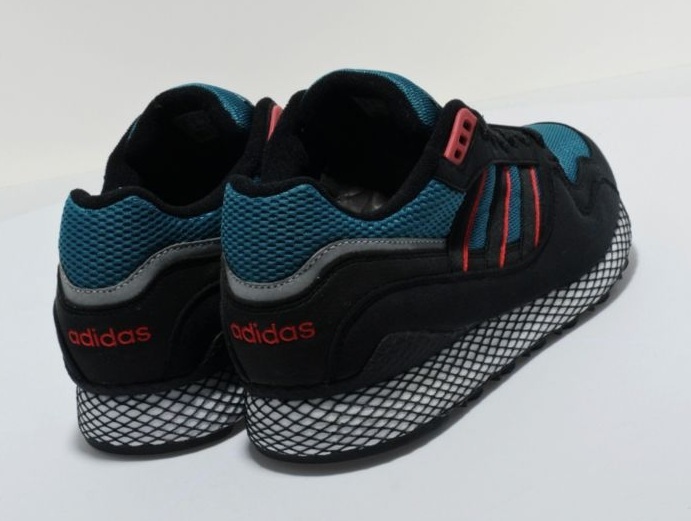 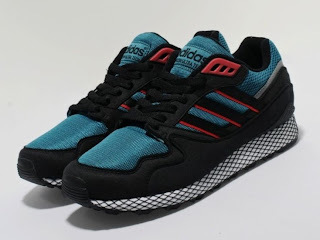 The shoe is sat on a white midsole with the trademark Dellinger webbing in aqua. This is instrumental in shock dispersion and the heavy duty outsole also contains adidas? Soft-Cell technology. 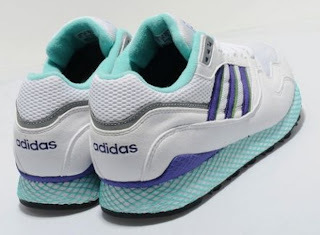 The shoe is finished with an Oregon Ultra tab on the tongue in purple and adidas branding on the heel in purple.